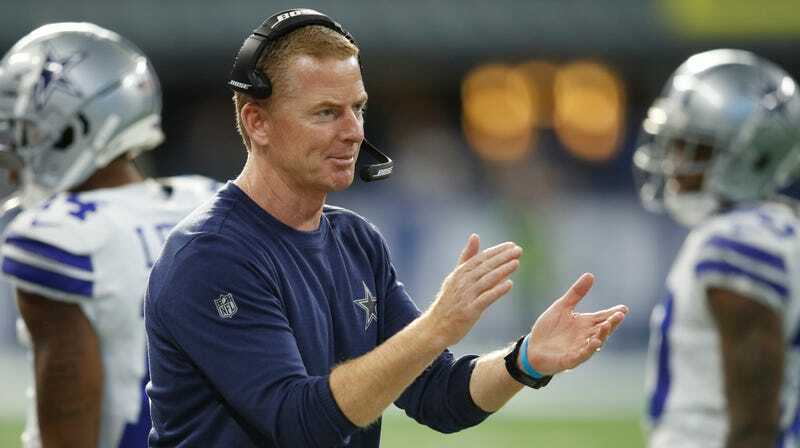 Dallas Cowboys coach Jason Garrett’s contract was set to expire after the 2019 season, but Ian Rapoport reports that Jerry Jones will extend it after the playoffs—no matter what happens tonight against the Rams. The Cowboys started 3-5 this year, and ESPN’s Dan Graziano had Garrett’s job still in jeopardy as late as last month following a shutout loss to the Colts. But two late wins clinched the NFC East, and The Clapper’s squad beat the Seahawks 24-22 in the wild-card round last week.